In which has to be one of the coolest makeup presents to get for Christmas, the Tokidoki 24kt Skate eyeshadow palette is an edgy assortment of 12 shades and a creepy cool charm. 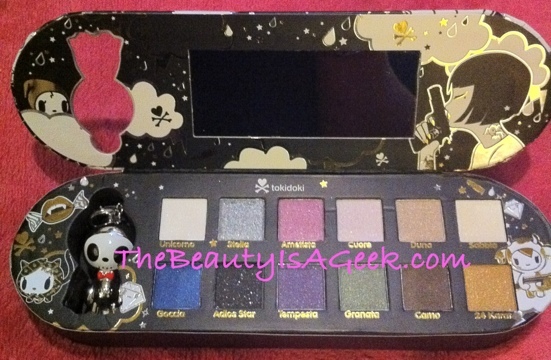 Tokidoki 24kt eye shadow palette. So pretty!! And if you don’t get one for Christmas, I highly suggest grabbing one on ‘Boxing Day’.